Arrives razor sharp from the factory, no additional sharpening required but some users may desire a different edge angle. ***WARRANTY: Condor Tools are warranted to be free of defects in materials, manufacture or assembly for the lifetime of the original purchaser. Damage due to abuse, misuse or neglect is not covered. Defective products will be repaired, replaced or substituted with the same item or item of equal value. Please email us at [email protected] with pictures of the defective item and we will work to get the issue resolved. The CTK410-14HCS Golok Machete: Condor’s Best Machete? 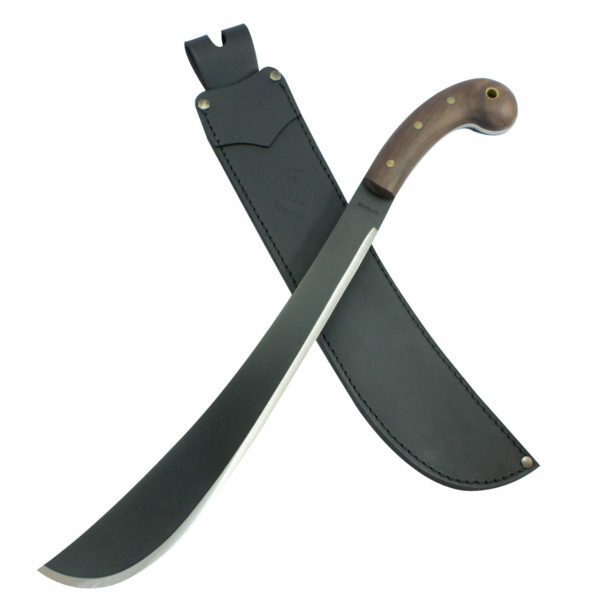 The Condor 14-Inch Golok Machete (CTK41014HCS) is one of Condor’s top sellers and is definitely a favorite of Machete Specialists buyers. There really is no wonder why. This Golok Machete has a gorgeous walnut handle that is curved to sit in your grip perfectly; making it feel like an extension of your arm. The graceful, traditional golok design of the blade paired with a 14-inch length blade makes this a very versatile tool that can be used for many different tasks like chopping thick vegetation, slashing through tall grass, or looking amazing as you slice through a watermelon with ease. 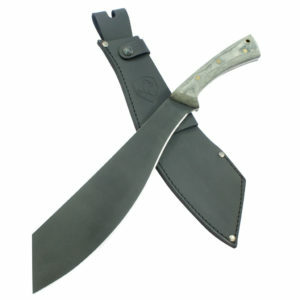 The CTK410-14HCS comes with a very thick real leather sheath. You’ll need it because these blades come razor sharp from the factory. The blade is painted black as well so if this machete is a gift, it is perfect for laser etching as well. If you’re looking for a great unorthodox Father’s Day gift that is also extremely useful, look no further than the CTK41014HCS. 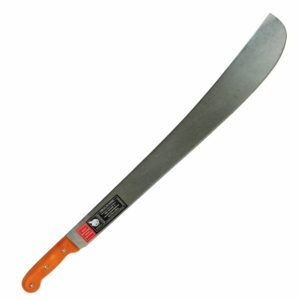 You may think that a 14 inch golok machete is too short. 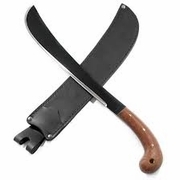 On the contrary, the 14″ golok blade is the perfect length without becoming unwieldy or heavy. 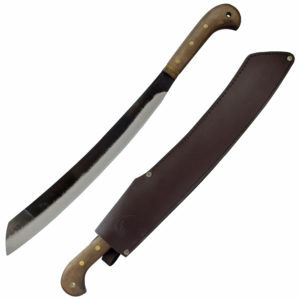 Condor machetes are unsurpassed in the quality of their craftsmanship. 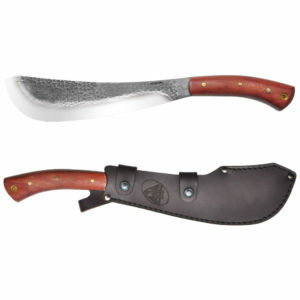 All Condor Tool and Knife machetes come with a sheath whether it be heavy duty leather, ballistic nylon, or kydex. The extra item you get with each Condor product (that we can’t put a price on) is the peace of mind knowing that you are using a truly superior cutting tool that is guaranteed for life. 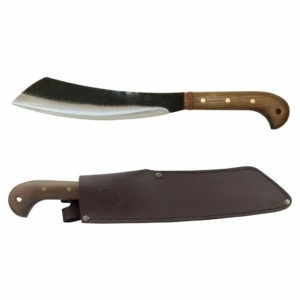 Condor originated in Solingen, Germany and has been producing quality machetes for over 225 years. The company’s roots are in military tools; however, over the years they have expanded operations to produce a wide range of high quality agricultural tools to better serve customers from various countries. 5.88 mm. / 3.55 mm. Nice knife! Blade angle seems a little steep, my guess is to protect the blade if it is used for heavy chopping. It is difficult to get it in and out of the heavy leather sheath. Seems like a lifetime tool that i expect to use on many adventures ! Extremely pleased with this machete. This is my go-to tool for woody brush work. If I were allowed only one blade for long term wilderness survival, this would be a top contender. Yes it’s one of the pricier ones, but “you get what you pay for” applies. 34 years in Fire Rescue career, I know the tools to work well and last. This is one of those tools. My husband said this 14 inch Condor is the best he has ever seen in his 45 years of working. Top quality, heaveyduty, and looks great. 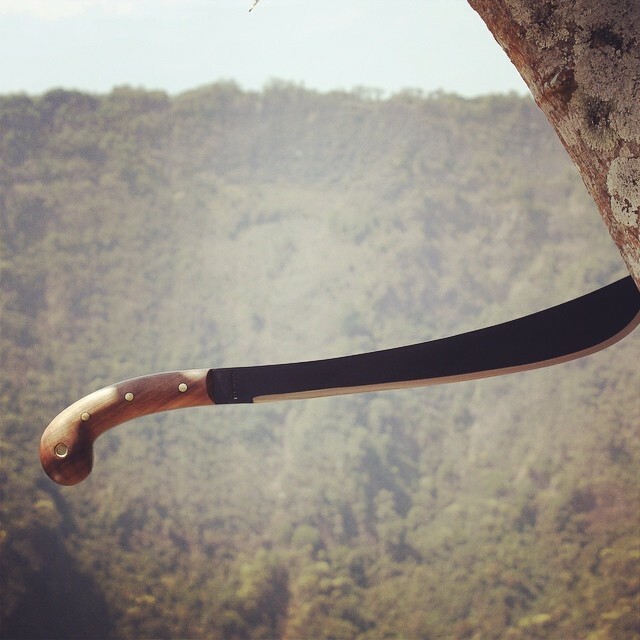 This is a wonderful Machette. I bought it for my 17yr old daughter. She can handle it very easy. Sharp and balanced. I recommend this to everyone. This machete is the best tool I have. It’s perfectly weighted with a strong, heavy blade. This thing isn’t flimsy at all and has a great finish on the handle. I’d recommend this to anyone. Completely satisfied with this machete. Was well sharpened right out of the box and the quality was top end. The heavy blade and excellent handle design makes quick work of heavier brush and bushes. The leather sheath included was top notch quality and finish. This is a life long quality tool that is reflected in the lifetime warranty. 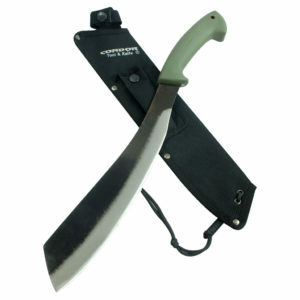 This is an amazing machete. Thick heavy-duty blade, well-balanced, beautiful wood handle. Instant favorite.